Like a lot kids raised in the sixties and seventies, convenience foods became a staple item in our home. We were a busy family and the dawning age of packaged, processed cheap food in a box or can was appealing. Especially to my mom who with four kids within seven years of each other, were all actively involved in sports and such. Fast food had yet to fully emerge so my mom (who is a GREAT cook by the way) resorted to keeping us kids fed and fueled by Pillsbury, Campbell, and Swansons when time didn’t allow for a home cooked meal. Yep, I was one lucky kiddo and grateful to still be alive! To say I had a biscuit or two out of a can would be a huge understatement. My mom didn’t have the time or energy probably to make heavenly rolls of dough from scratch. Of course we didn’t mind. Saturday mornings with scrambled eggs, bacon and gravy seemed to work just fine on canned biscuits. Why fix whats not broken? 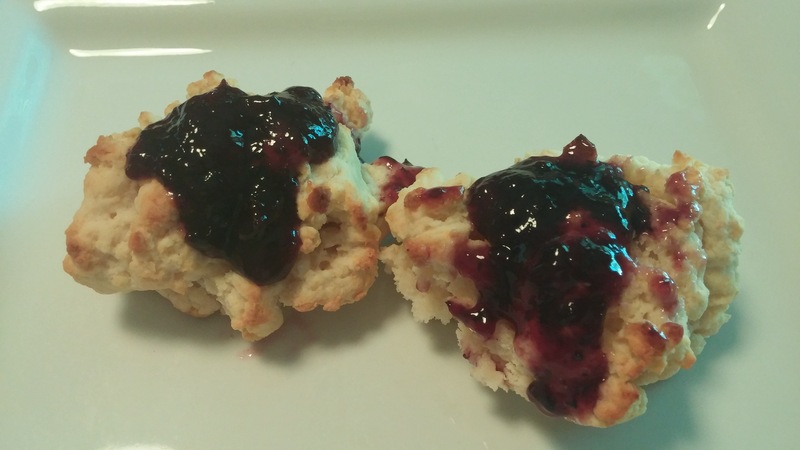 So I’ve always been a canned biscuit eater…until I came across this recipe. See things changed when I went vegan. Sure you can buy vegan biscuits in the can and honestly they’re not bad but until you’ve had a biscuit from scratch, you’ve really not lived ya’ll. Therefore in my quest to improve my health and cook vegan from scratch (mostly) I discovered that making your own biscuits is super simple and way more delicious than the can crap despite what the Pillsbury Dough Boy tells you. My family loves them, I love them, and you can really take this simple recipe and add any flavoring. 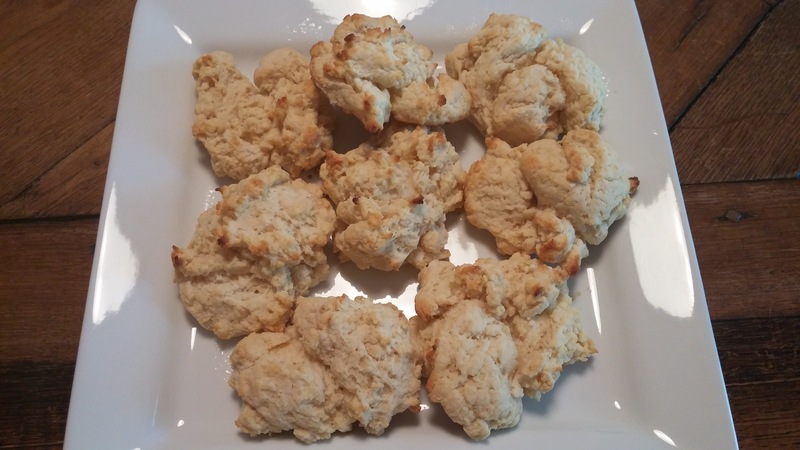 I’ve added vegan shredded cheese (swoon cheese biscuits! ), herbs (thyme or rosemary! ), black pepper (you like it spicy? )…the biscuit is your oyster! Take this recipe and make it this weekend. Make double too cause your going to want more. I’m keeping it no fuss, no frills, and fast. Happy weekend and GO HOGS!!!! Combine all the ingredients in a bowl with a spoon. Do not over work the batter, it should be sticky. You can spoon drop the biscuit's onto the cookie sheet or use a biscuit ring and fill according to the size of the ring. The amount of batter used depending on the size of the ring or spoonful will determine the number of biscuits you get out of the recipe. Bake at 475 for 10 minutes. Eat warm!